Size: 25kg of 20mm lancashire river gravel will usually cover about 0.5mÂ² (0.5m x 0.5m) at a depth of about 5cm. 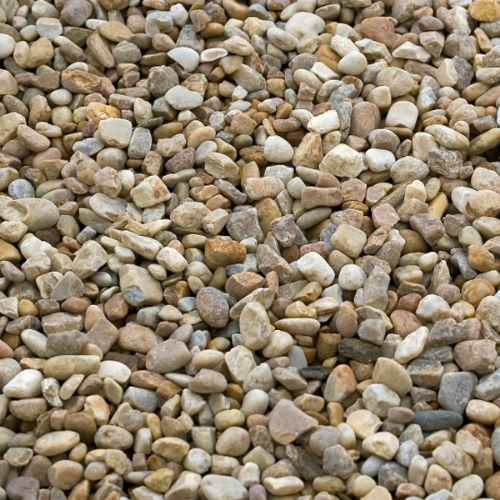 Consists Of: 20mm coloured stone chippings, brown, beige, blue, gravel (looks like small colourful pebbles). Coverage: 1000kg of 20mm lancashire river gravel will usually cover about 15mÂ² (15m x 1m) at a depth of about 5cm. 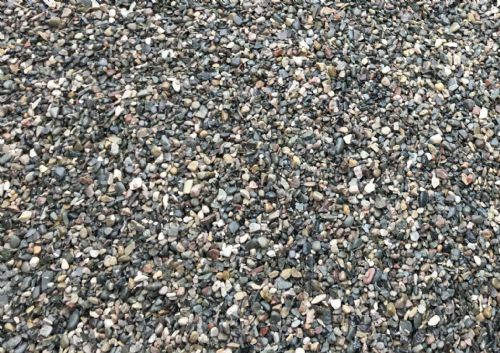 Size: 10 Tonne (10,000kg) of 20mm lancashire river gravel will usually cover about 150mÂ² (150m x 1m) at a depth of about 5cm.